The coordination of pastoralist struggles in Europe is moving forward! From 26 to 28 June, European Shepherd Network (ESN) hosted its third European Pastoralists Assembly, in the city of Kassel, Germany. The event gathered more than 50 pastoralist delegates from all over the continent. Together, we signed a common declaration to urge decision-maker to take concrete measures to save traditional livestock farming. We also voted a collective action plan: ESN is now in motion, following an agenda of concrete tasks to support its member organizations. The results of the event and the upcoming actions are summarized in this Summer newsletter. Pastoralism is under threat but united, we can resist the industrialization of farming and save our diverse cultures and productive models. Outside Europe, nomadic herders of many regions are also facing oppression. We open this issue to other regions of the world by sharing the concerns of nomads in Tibet and Palestine. And if you’re on Facebook, you can follow the ESN page! 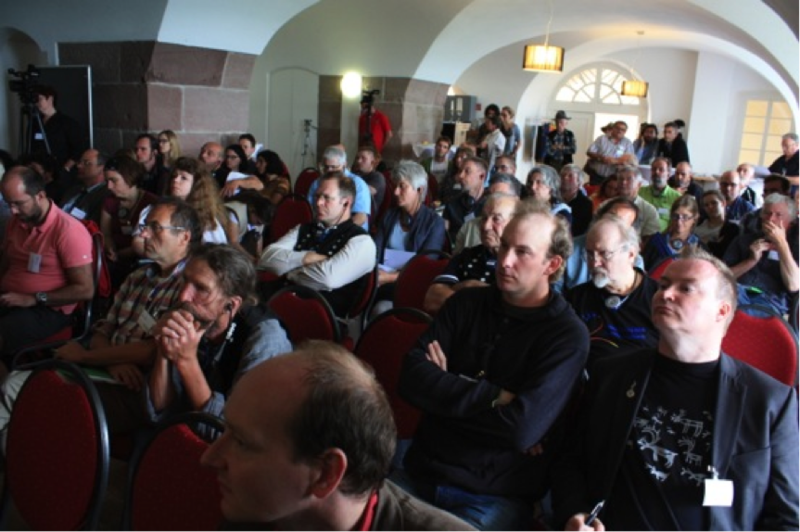 From 26 to 28 June, more than 50 shepherds and farmers from 17 European countries have met at the third European Pastoralists Assembly organized by ESN at the Ehrenbreitstein fort in Koblenz, Germany. The 3-day event aimed to identify the problems faced by pastoralist communities across Europe, discuss solutions and agree on further actions to be developed by ESN. The geographic areas represented were Belgium, Bulgaria, France, Germany, Greece, Italy, Luxemburg, the Netherlands, Poland, Portugal, Romania, Sami area, Scotland, Spain. The pastoral livelihoods represented included transhumance herding, sheep & goat herding, extensive cattle farming, reindeer herding in the Arctic region, crofting. Working in thematic cluster groups, the European delegates identified the main problems faced by their communities from economic, political, environmental and cultural perspectives. They exchanged on local solutions being implemented and discussed possible scenarios to address these issues, with the aim of formulating key recommendations to ESN. These workshops were complemented by lectures and roundtables with technical experts and policy makers on pressing topics such as grassland use, environmental services provided by shepherds and CAP policy. On 27 June, two pastoralist women – Ruth Häck from Bundesverband Berufsschäfer (German Federal Shepherd Association) and Verdiana Morandi from Associazione dei pastori transumanti del Triveneto (Association of Transhumant Shepherds of Triveneto, Italy) – addressed on behalf of ESN an interdisciplinary panel with the conclusions of the thematic sessions. The panel, formed by Heinz-Wilhelm Geldermann (German Ministry of Agriculture), Irene Hoffmann (FAO) Anita Idel (writer), Katrin Kuka (Julius Kühn Institute) Rainer Luick (Rottenburg University) and Antonia Lütteken (EU Agriculture Commission), expanded on the role of administration, science and institutions in supporting pastoralists. The event finished with a public fair during which pastoralist delegates presented their products and skills to the local population. This was an occasion for further exchanges on important topics such as dog breeds, wool techniques and food products. The Koblenz Declaration was ratified by 18 pastoralist organizations present at the third European Pastoralists Assembly. It formulates 9 priority claims to policy-makers in order to effectively support pastoralism in Europe. You can download the full text on the ESN website. Please share it with your contacts to help strengthen the European movement in favor of pastoralism that ESN is striving to build! Campaign at EU level for the inclusion of marginal grazing land (forests, mountain areas, unconventional grazing areas, etc.) in CAP subsidies. Organize a workshop on predation with dog training, knowledge exchange, and a discussion of policy recommendations. Create a map of livestock mobility routes in Europe and initiate a debate on the implementation of a protected status for endangered transhumance routes. As fall begins and the flocks return to lower lands, we are now starting to work on these tasks and will keep you posted as it goes! A petition launched by the Spanish Platform for Extensive Herding and Pastoralism, and signed by 80 farming and environmental organizations, makes proposals to amend the current CAP rules for permanent pastures, and those being considered for 2014-2020 period. The aim is to have all pastures in active grazing eligible for CAP support. The European Forum on Nature Conservation and Pastoralism (EFCNP) has published an update on the on-going battle for traditional graziers against Member State reclassification of farmland. Although landscape features, such as trees and hedges, are part of traditional farming systems in Europe, they are largely in decline, due to EU policy which discourages farmers from managing such features. The current CAP rules stipulate that in order to be eligible for subsidies, a pasture should not have more than 50 trees per hectare and that a hedgerow should not be more than 2m wide. In several Member States this has often resulted in the abandonment of wood pastures which have subsequently become overgrown with scrub and hedges being cut down, resulting in both costs to the farmers and loss of habitat. In May, the Tibetan Centre for Human Rights & Democracy (TCHRD) and the League for Pastoral Peoples (LPP) have co-published an extensive report on the fate of pastoralism in Tibet entitled “Waste Lives: A Critical Analysis of China’s Campaign to End Tibetan Pastoral Lifeways”. Thanks to customary land use practices, the grasslands of the Tibetan plateau have been “managed sustainably and productively by Tibetan pastoralists for 9000 years”. Pastoralism in Tibet consists in nomadic herding of yaks, cattle, camels, horses, sheep and goat. Since the 1950s, Tibetan pastoralists have suffered forced sedentarisation and removal from pastures under the Chinese occupation. But the report argues that the impoverishment of nomads caused by Chinese grassland policies (focused on productivity, arable land, modernization but also conservation) has had the greatest effect in driving them out their rural livelihoods. The reality of the decline of pastoralism is complex and some sign of hopes appear as some herders have succeeded to maintain community customary institutions that enable livestock mobility. You can download the full report on the TCHRD website. In May the Israeli supreme court rejected an appeal by al-Uqbis Bedouins against the nationalization of their native lands in 2015. The Bedouins are an indigenous pastoralist community whose economy revolves around livestock. The court decision ignored the stories and details provided by 11 elderly witnesses about their lives, agriculture, pastoral activities, settlement, etc., and denies the indigeneity of the Bedouins, reports Oren Yiftachel, Professor of Geography at Ben-Gurion University. Israel has repeatedly accused Bedouin communities (ca. 160,000 people) of ‘trespassing’ on state land in the Negev region, South of the country. The Israeli authorities intend to sedentarise the Bedouins and have already deported many of them to towns built by the government, despite the “abundant evidence attesting to the recognition of Bedouin land ownership during the Ottoman and British eras, both in terms of traditional law and also formal land registration”.